Roy Patriquin passed away on November 15, 2018 after a brief battle with cancer. 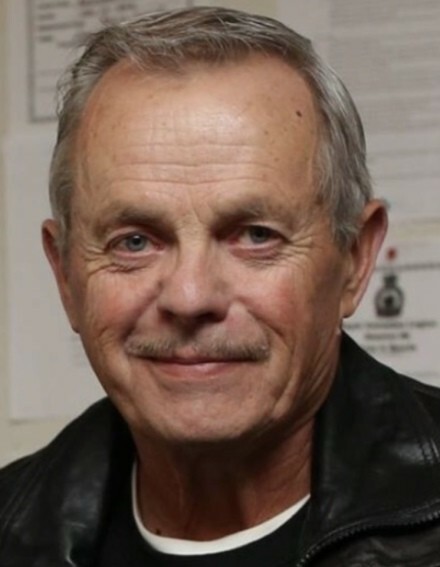 He will be greatly missed by his partner Joyce Lounsbury; daughter Trina (Terry) Broderson; grandchildren Colton, Jared, Jayden and Ali; brother Lawrence (Louise) Patriquin and numerous nieces, nephews and cousins. Roy is predeceased by his beloved wife Alice; son Brent; and his mother and father (Vern and Olga Patriquin). Roy was born December 24, 1946 at Vulcan, Alberta, grew up in Claresholm and then obtained a certificate in Culinary Arts. He worked at the Claresholm Care Centre starting in 1965 as a chef and worked his way up to supervisor until he retired in 2001. His true dedication was greatly admired by his co-workers. Roy was actively involved in the Cattle Barons Junior Hockey Club, Porcupine Hills Classic Cruisers Car Club and the Claresholm Figure Skating Club. In his spare time Roy enjoyed camping, fishing, hunting, restoring and showing his classic cars. Above all, his most precious times were spent with his family, especially his grandchildren whom he adored immensely. A Celebration of Roy’s life will be held at 1:00 PM on Friday November 23, 2018 at Willow Creek Funeral Home (4079- 1st Street West, Claresholm) with Rev. Wes Dyck officiating. In lieu of flowers, donations in Roy’s memory may be made to Palliative Care at the Claresholm General Hospital, Box 610, Claresholm, Alberta, T0L 0T0.